By using TypeScript, you can detect many such errors at compile time. The TypeScript compiler will warn you if you assign a string value to a numeric variable and vice-versa. Without any further ado, here is a list of some of the free TypeScript courses you can join to learn this awesome new Programming language. Btw, before we go to the actual course, just a note on pricing. All these courses are available for free on Udemy at the point of writing but they can change to paid as instructor often covert free course to paid course once they reach their promotional targets, so please check the price before you join the course. This is the most popular, free course to learn TypeScript on Udemy. With over 33,000 Students already joined this course and more than 3700 four-star ratings. In this free TypeScript course, instructor Daniel Stern explains What is TypeScript and why should you learn it. The course is short but whatever it's tough, is explained well with real-world examples and stuff. By joining this course you will learn how to setup TypeScript in your Mac or PC before going deep on various TypeScript features. The third or final section talks about interesting TypeScript features e.g. you will learn about types, how they are used, what kind of types are available etc. You will also learn about interface, inheritance, and classes. There seems to another section for building an App with TypeScript but that's empty as of now. 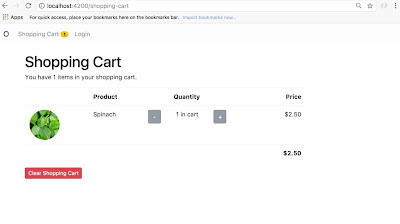 In the future, we may see some content in that section as well. Overall, a good free course to start with TypeScript. 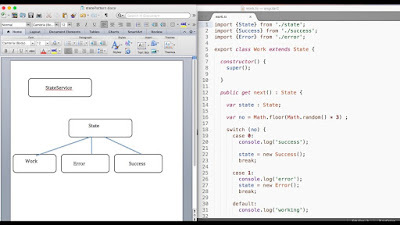 The course is divided into 15 parts and each part explains one key TypeScript concepts. 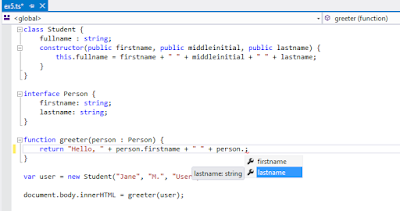 The course starts with basic Introduction of typescript and then moved towards installing and Configuration TypeScript in Visual Studio Code, a Free IDE many Web developers are using. Later you will earn about Enums, Arrays, Functions, Lambdas, Classes, Interfaces and other object-oriented features along with Generics, Modules, and other TypeScript features. In short, a nice course to start with TypeScript could have been better with more real-world examples, scenarios, and explains. You will also learn how to install and configure TypeScript, Declaring variables using let and var, using Types and learn how to compile and run TypeScript programs. The course also has a section on extending TypeScript where it talks about jQuery, Types, and npm. 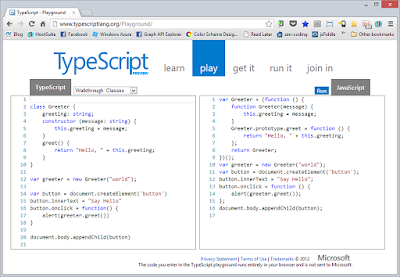 Overall, a nice course to getting started with TypeScript. As the name suggests, this is a TypeScript crash course which will teach you essential concepts of TypeScript in no times. If you are someone who doesn't have weeks or months to learn TypeScript then this is an ideal course for you. You will learn essential concepts of TypeScripts e.g. Classes and Interface, Types, Modules etc in quick time. In short, a great primer TypeScript course for beginners to get up to speed. Once you have gone through this course you have sufficient knowledge to go deeper on TypeScript by reading a book or joining other more comprehensive courses. The instructor is also very enthusiastic and makes learning fun and easy. This course will teach you how to implement classic GOF design patterns like Decorator, Adapter, Strategy, Observer, Facade, Command and other in TypeScript. Why should you use Design Patter? Well, because it's nothing but tried and tested solution of common programming problems. Most of the problems you face while developing an application are already solved by others and you can take advantage of their work and experience in form of design patterns. There is a lot of stuff out there on the internet to learn about Object-Oriented Design Patterns but this class is super helpful in implementing those on TypeScript. The real world examples are given in this course also makes it easy to understand those patterns if you are not familiar with the concept before. Overall, advanced TypeScript courses for developers. That's all about some of the best, free courses to learn TypeScript online at the comfort of your office and home. These online courses are a great way to start learning TypeScript in your spare time and most importantly they are free. Though, you should check the price before joining the course because, In Udemy, some free courses automatically converted to paid courses, once the instructor reaches their promotional targets. Thanks for reading this article so far. If you like these TypeScript courses then please share with your friends and colleagues. If you have any question or feedback then please drop me a note. P. S. - If you don't mind paying some money for the online course, then Understanding TypeScript by Max is probably the best resource you can get to learn TypeScript online at this moment.